Tagline Nothing to lose, nothing to compromise. 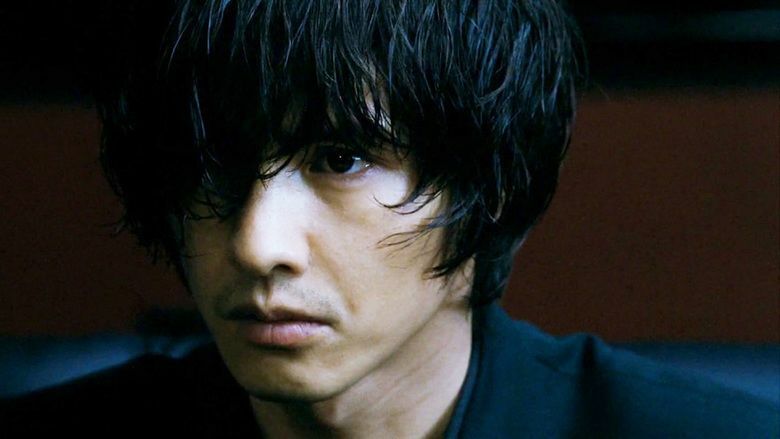 The Man from Nowhere (Hangul: 아저씨; RR: Ajeossi) is a South Korean action-thriller film starring Won Bin and written and directed by Lee Jeong-beom. It was South Korea's highest grossing film in 2010 and had 6.2 million admissions. The film was released in the United States and Canada on October 1, 2010. 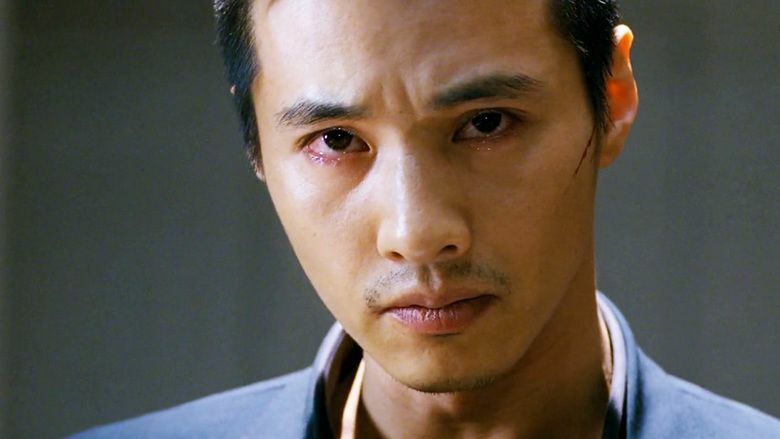 The film follows the story of a decorated ex-black operations soldier (Won Bin) who embarks on a bloody rampage when the only person who seems to understand him is kidnapped. Cha Tae-sik leads a quiet life running a pawnshop. His only friend is a little girl, So-mi, who lives next door. So-mi's mother, Hyo-jeong, is a heroin addict who steals drugs from a feared Korean-Vietnamese organized crime group. She pawns her camera bag to Tae-sik; he does not realize it has the stolen drugs inside. 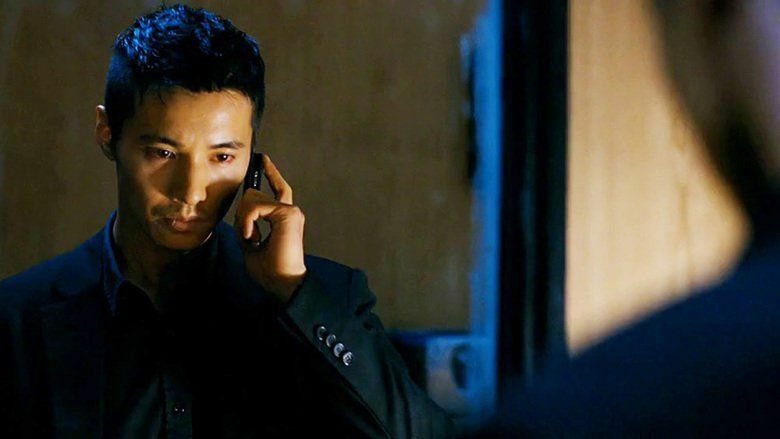 Crime lord Oh Myung-gyu sends his subordinates, brothers Man-Seok and Jong-seok to retrieve the drugs; Jong-seok and his henchman Lum Ramrowan torture Hyo-jeong to find the drugs' location, then kidnap her and So-mi. Two gangsters, Du-chi and "Bear" go to Tae-sik's pawn shop, but Tae-sik easily overpowers them. When he finds that Hyo-jeong and So-mi have been kidnapped, he gives them the bag, and Ramrowan kills Bear to set him up as the fall guy. Realizing that Tae-sik may serve better as a mule, the gang brothers force Tae-sik to perform a delivery to Oh Myung-gyu, who they have set up. The police arrest Tae-sik and discover Hyo-jeong's body, with her organs harvested, in the back of the car he used to make the delivery. 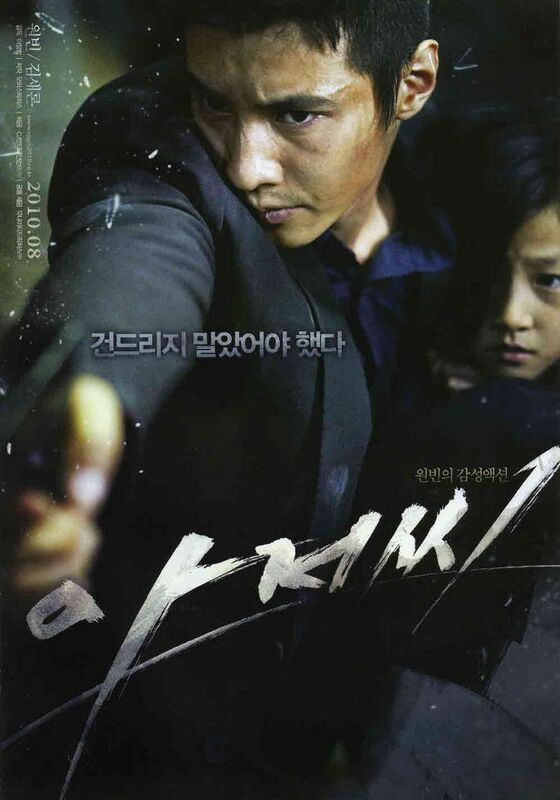 Tae-sik escapes from the police station to search for So-mi, and during his escape, the police are bewildered at Tae-sik's display of power, combat techniques, and agility. On further investigation, they discover that Tae-sik was a former covert operator for the South Korean Army Intelligence, with numerous commendations, but he retired after he was wounded and his pregnant wife was murdered by an assassin. Tae-sik tracks Du-chi to a nightclub, beats up two of Du-chi's guards, and stabs Du-chi with his own knife. As he asks where the brothers are, Ramrowan walks in and shoots at Tae-sik, killing Du-chi in the crossfire. The two fight to a standstill, and Tae-sik suffers a bullet wound. Tae-sik chases after Ramrowan and the brothers as they flee, but he is too late; Tae-sik barely escapes from undercover cops. Critically wounded after his encounter with Ramrowan, Tae-sik finds his former partner, who performs an impromptu surgery. Tae-sik then acquires a gun from him and continues on his journey. Tae-sik finds and frees several child slaves in a drug manufacturing plant, in the process killing off the younger of the brothers, Jong-seok. He tracks down the elder brother, Man-seok, at the gang's condo, where a dozen gang members and Ramrowan are also waiting. Man-seok says that he has had So-Mi killed and shows Tae-sik a container that has what he says are her eyes. He demands to know what happened to his younger brother, and, in a rage, Tae-sik kills the gang members, including Ramrowan and Man-seok. As Tae-sik prepares to commit suicide out of grief, a scared and dirty So-mi emerges from the darkness. She had been saved by Ramrowan, who took pity on her because she had been kind to him. It is then revealed that the eyes in the container belonged to the gangsters' surgeon, who had been killed off-camera by Ramrowan. The police allow Tae-sik and So-mi to ride together after they arrest him, and, while she sleeps, Tae-sik asks if they can be dropped off at a small convenience store. Tae-sik buys a backpack along with other school supplies. He tells her that she's going to be on her own now, as the police have to take him away. Before he goes, he asks her for a hug and breaks down in tears as they embrace. During its August 6–8 opening weekend, the film recorded 712,840 admissions, taking the number 1 spot on the box office charts for five weeks straight. It had sold a total of 6,228,300 tickets when it finished its theatrical run on November 17, 2010. The film grossed a total of US$42,484,155 in South Korea. On October 1, 2010 CJ Entertainment gave the film a limited theatrical release to North American theaters where it grossed US$35,751 in 1 theater its opening weekend. After widening the release up to 19 theaters, the film grossed US$528,175 in the U.S. and Canada. The Man from Nowhere has received positive reviews from English-language critics, holding a score of 100% on Rotten Tomatoes. As of August 2013, six of six critics gave 'Fresh' reviews, according to Rotten Tomatoes. One of those critics, Russell Edwards of Variety, wrote, "Brutal violence dominates the dynamic Korean thriller The Man From Nowhere. 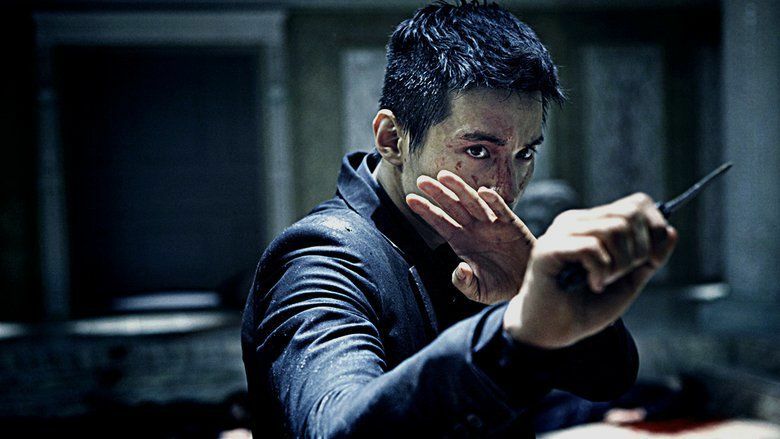 Local heartthrob Won Bin (Mother, Tae Guk Gui) transforms himself into an action hero in writer-helmer Lee Jeong-beom’s swift and blood-soaked yarn, about a mystery man who gets caught up in a gang war while trying to protect a child, recalling Luc Besson's The Professional." In March 2012, Dimension Films acquired the rights to do an English-language remake of The Man From Nowhere; plans are to have Shawn Christensen, who wrote and directed the 2012 short film Curfew, write the adaptation. An Indian remake titled Rocky Handsome, directed by Nishikant Kama and starring John Abraham was released in March 2016.